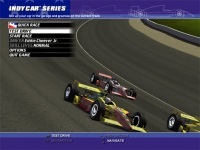 IndyCar Series is a formula racing game developed and released by CodeMasters. It includes the open wheel racing competition of cars similar to formula racing cars such as F1 alike. The demo includes Texas Speedway track with three difficulty levels: easy, normal, and pro. It allows the access to the test drive and single race menu. You can also adjust the control sensitivity to match your racing style. Lead police SWAT team in arresting criminals and rescuing hostages. Military operation facing militia while freeing the hostages.